We live in a world where we want all the facilities crammed into a small package. Compact sedans, small cars and even compact SUVs, are big in the fast growing car markets of India and Brazil. There is a thin line between a compact SUV and a wannabe SUV, yes we are talking about crossovers. 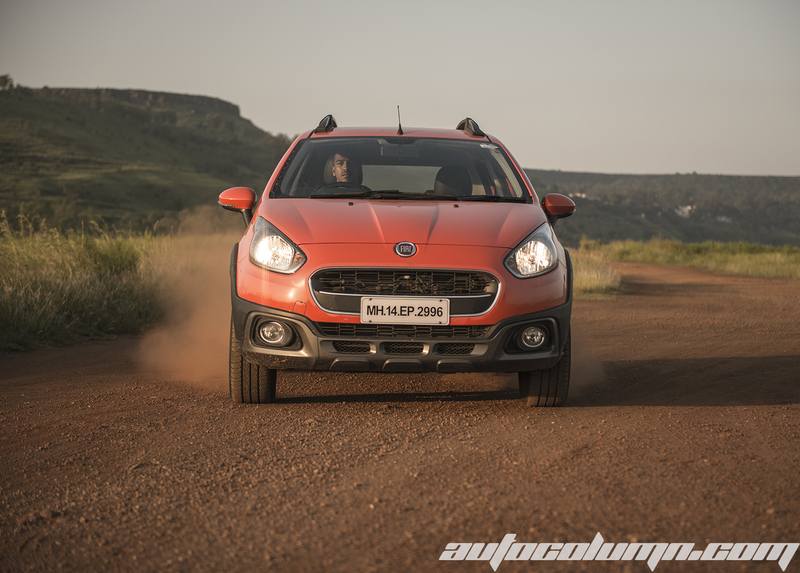 The crossover trend was started in India by Fiat with the Palio Adventure but sadly the market was not ready for the product at that time. In the past few years Skoda tried same market with Fabia Scout, VW with the CrossPolo and even Toyota came up with Etios Cross. A crossover is a raised hatchback that has bits of of SUV in it. Hence is is called a crossover. Compact SUVs and Compact sedans are climbing the sales charts and so are crossovers. So, Italian brand Fiat wants to reap benefits too? 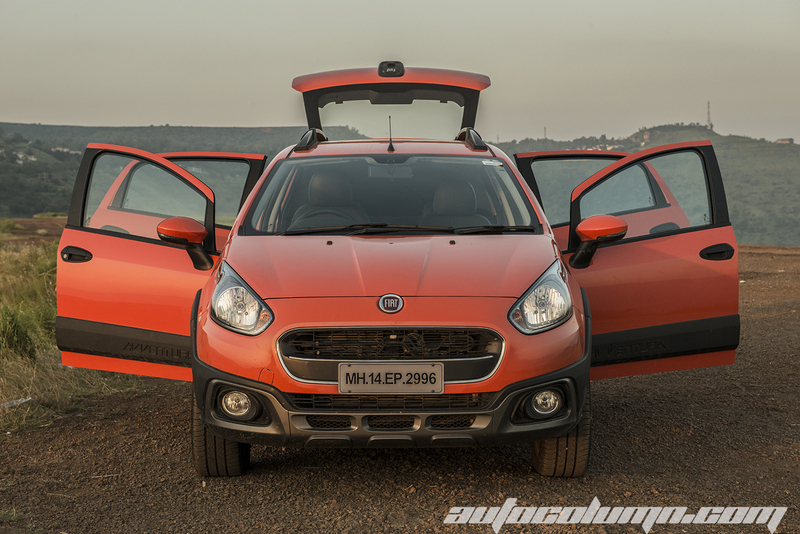 Fiat showcased The Avventura first time at 2014 Delhi Auto Expo and surprisingly the production version is just the same. It was a global debut of the product in the 2014 Indian Auto Expo. 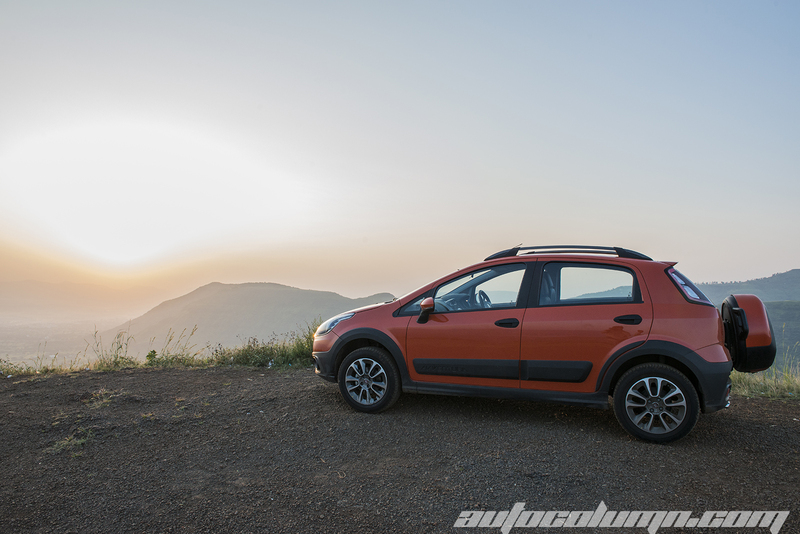 Team AutoColumn spent two days with new Fiat Avventura Petrol and Diesel in picturesque Panchgani. Here are our drive impressions. 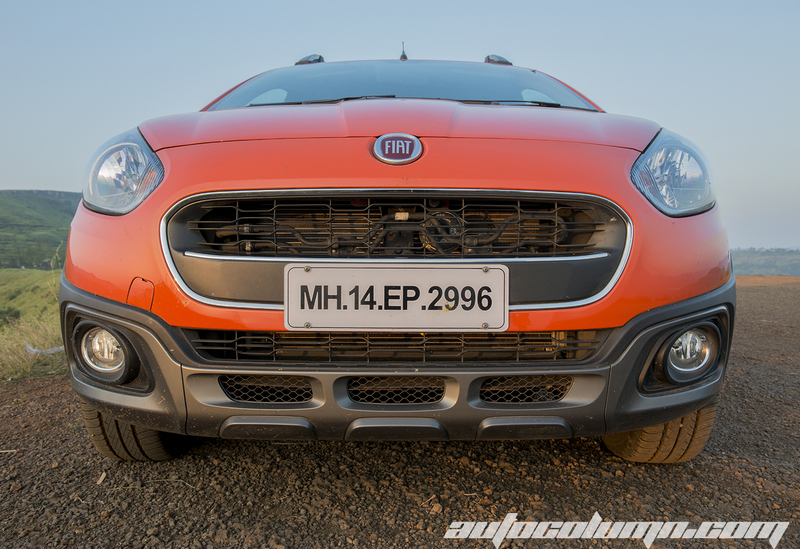 Well, this is not the first time Fiat has offered Adventure badging car in Indian market. It was a decade ago when Palio Adventure was launched, but it was more of an estate/station wagon than crossover. 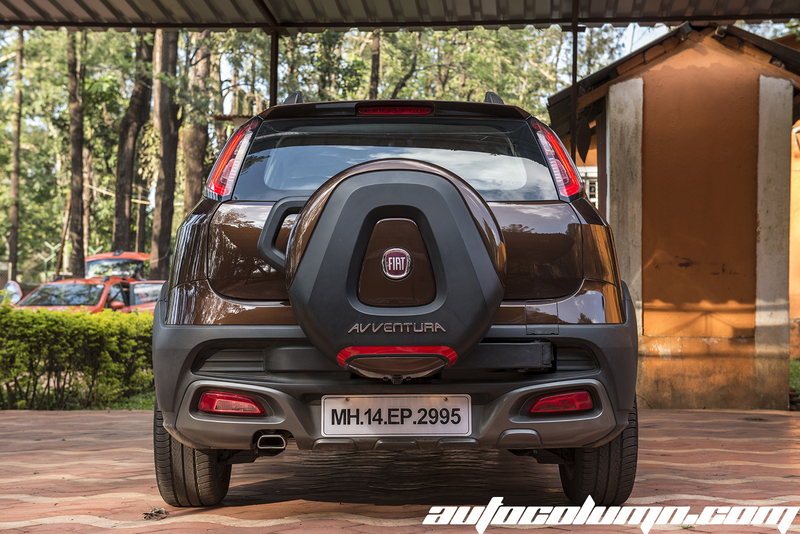 This time Fiat has come up with an Italian name instead of the English name, and the name ‘Avventura’ translates to ‘Adventure’ in English. The looks of Avventura are more mature when compared to other crossovers available in the market. 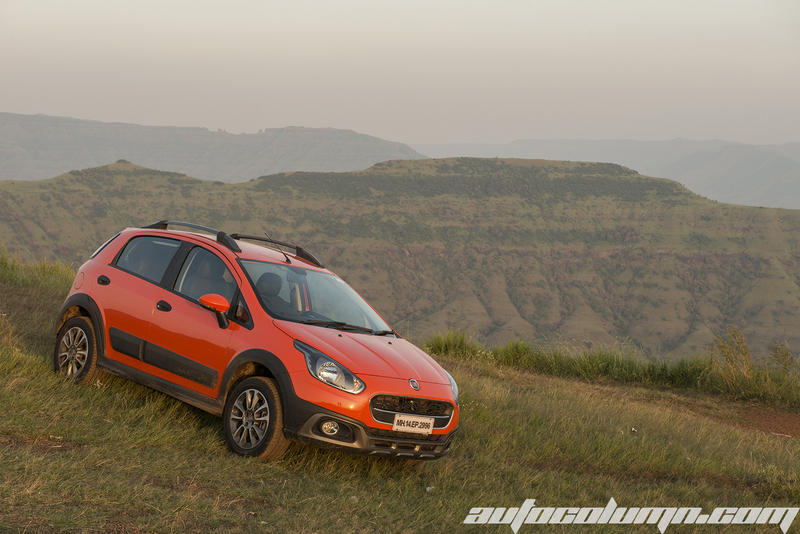 It sits in between a pure compact SUV like Ford EcoSport or Renault Duster and a wannabe SUV looking Toyota Etios Cross. It’s a Fiat, after all. So, it has to be well designed. The Avventura is a perfect Italian beauty. 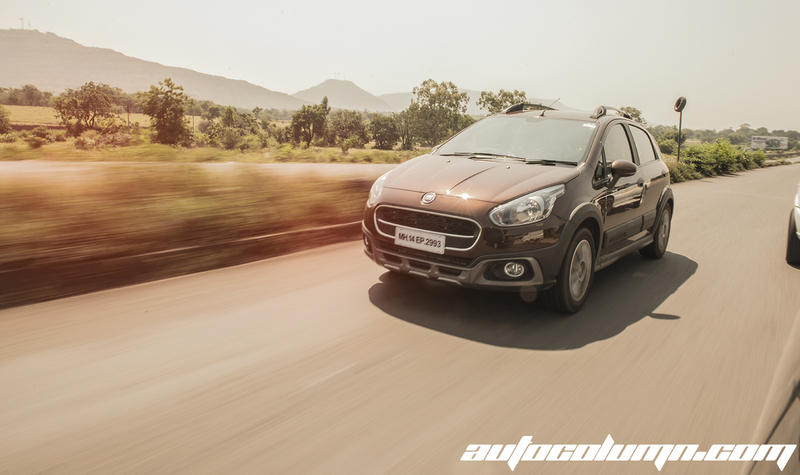 Though Fiat Avventura’s design is based on its sibling Punto, the car has its own characteristics to immediately stand out from the crowd. 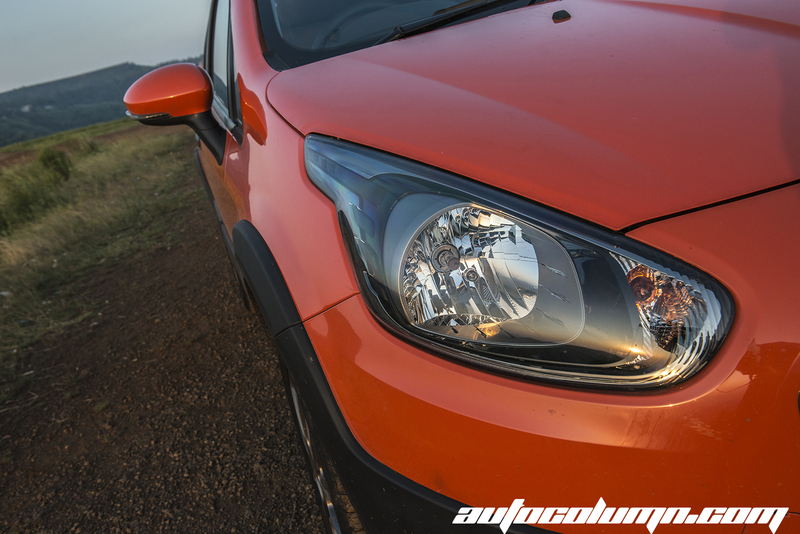 The Avventura share its swept back headlights, taillight and rear bumper mounted fog and stop lamps with Punto. The production version of the Avventura does not get a projector set up that was showcased in the concept at the Auto Expo. The front of the crossover is treated with an aggressive bumper and faux skid plates. The whole car is dressed with black body cladding and door protecting stripes to give it a tough look. 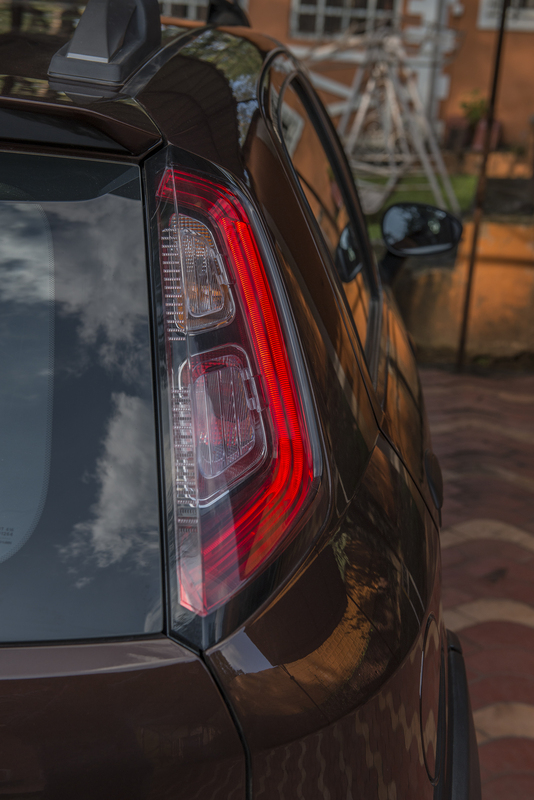 The black cladding on the flanks also boast the Avventura badges on them. 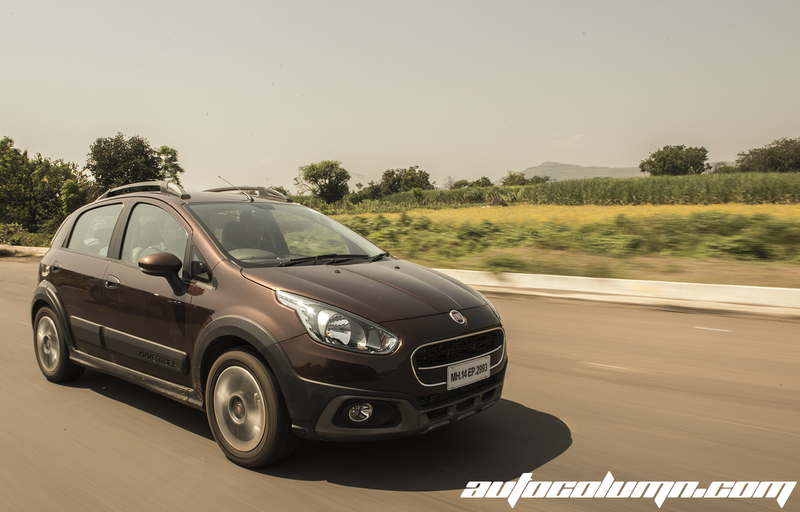 The car also gets aluminium roof rails which not only look good, but also will serve its purpose of holding some luggage nicely. The spare wheel mounted on the back is peculiar, as it works independent of the hatch lid. 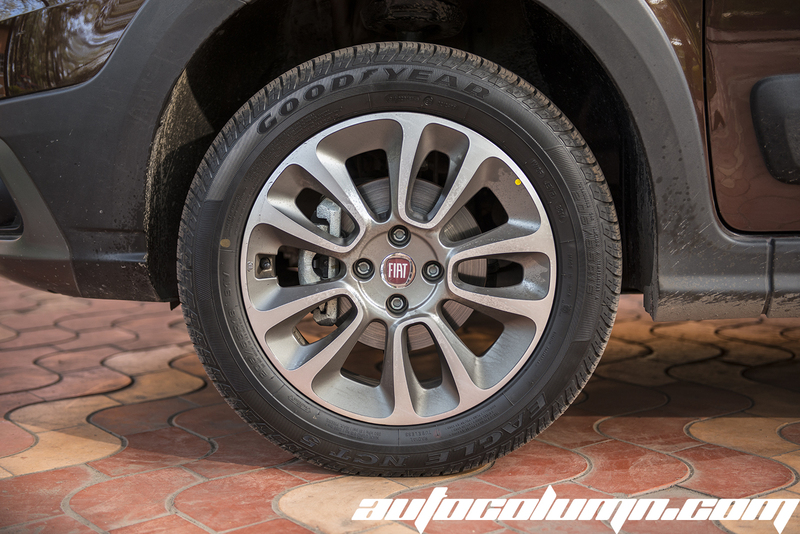 The spare wheel cover is elegantly styled and Fiat has provided it a proper shape so that it looks macho. The spare wheel on the rear door is first in its class considering Fabia Scout, Cross Polo and Etios Cross. The simple mechanism opens the independent swing arm carrying a spare wheel and has nothing to do with the boot lid. 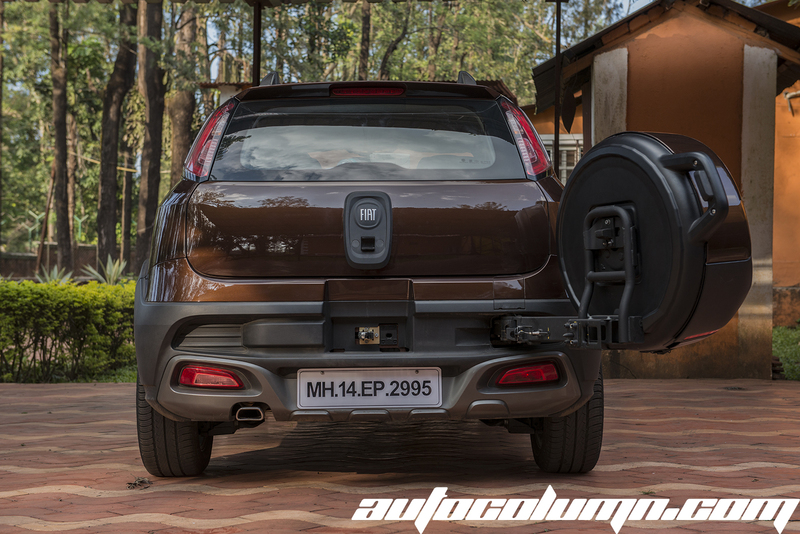 The rear bumper also gets silver colour cladding which looks like faux skid plates and gives a go anywhere look to the Avventura. There is a lot of solidity in design at rear that makes it best looking crossover in its class. Step inside and you will be welcomed with pleasant interiors. They are stylish but nothing is overdone. 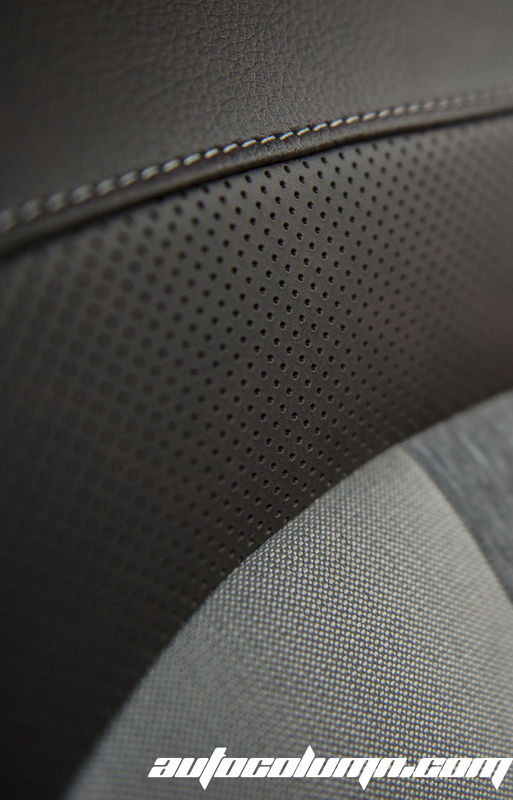 The dashboard and door trims are well complimented by the leather-textured material for premium touch. 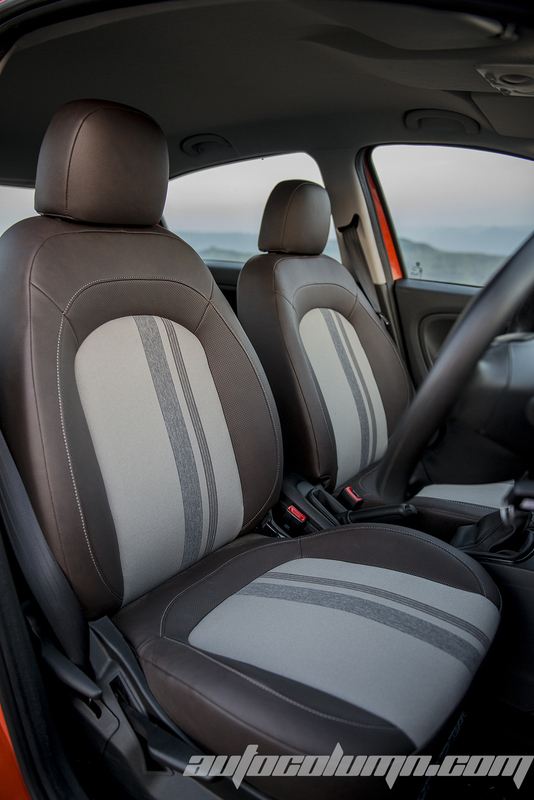 The seat covers are designed with a combination of leather and fabric, and this combination suits the exterior styling of the car. 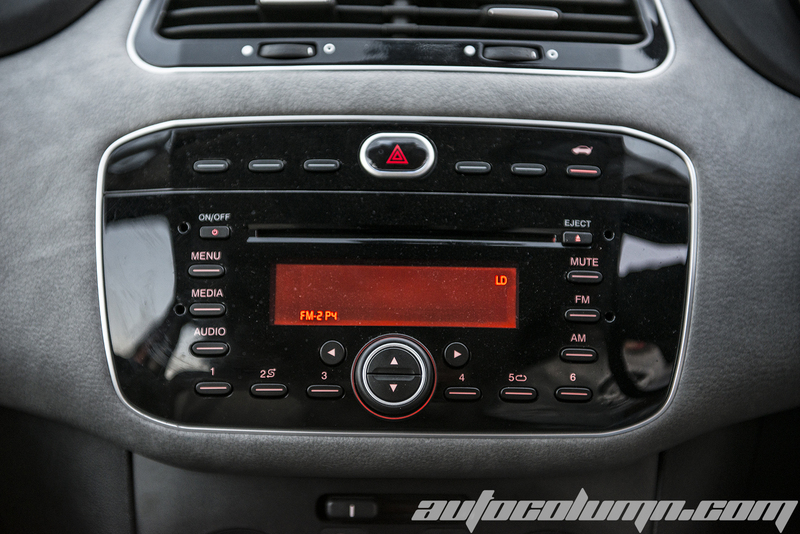 Just above the center AC vents Fiat has added additional compass and inclinometer consoles, which displays angles of tilt, body roll, elevation or depression of a car. This gadget grabs your attention as soon as you get into the driver seat. 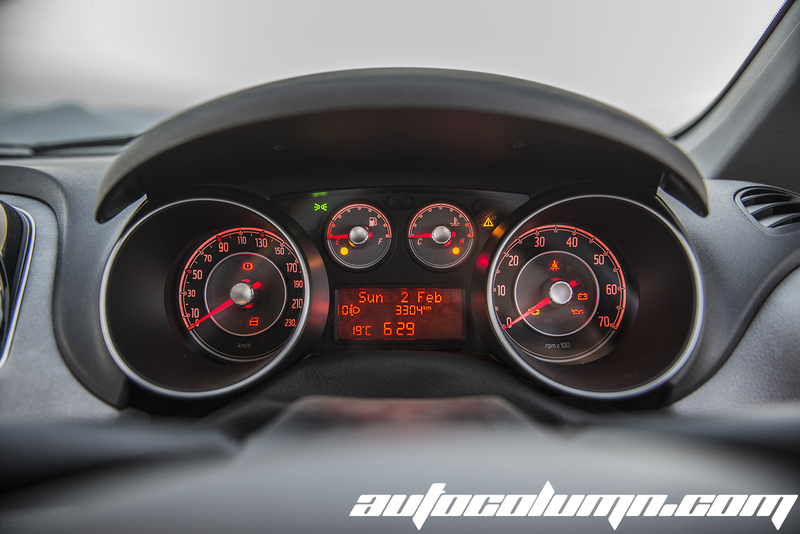 The dashboard design of the Avventura is the same as the Punto but the colour combinations here are aligned with the sporty stance of the car. 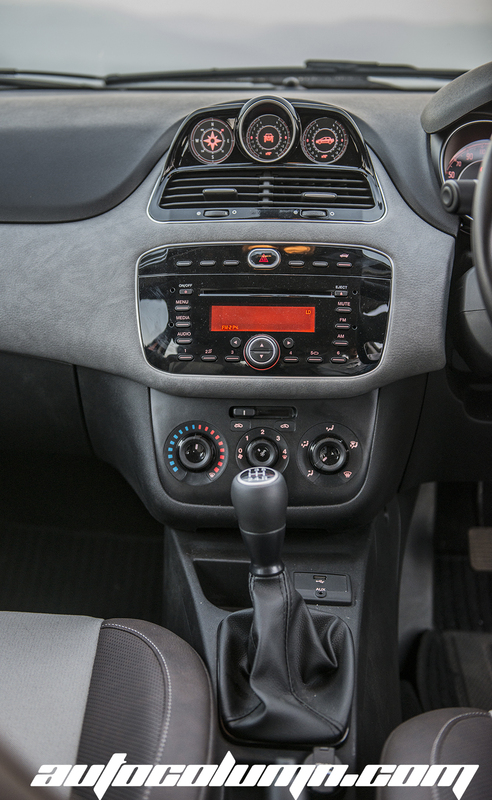 The overall dash and equipment is the same as the top-spec Punto and you get all those goodies like electric windows, climate control, a rear central AC vents with small glove box and an audio system that supports CD, MP3, and Aux functions. 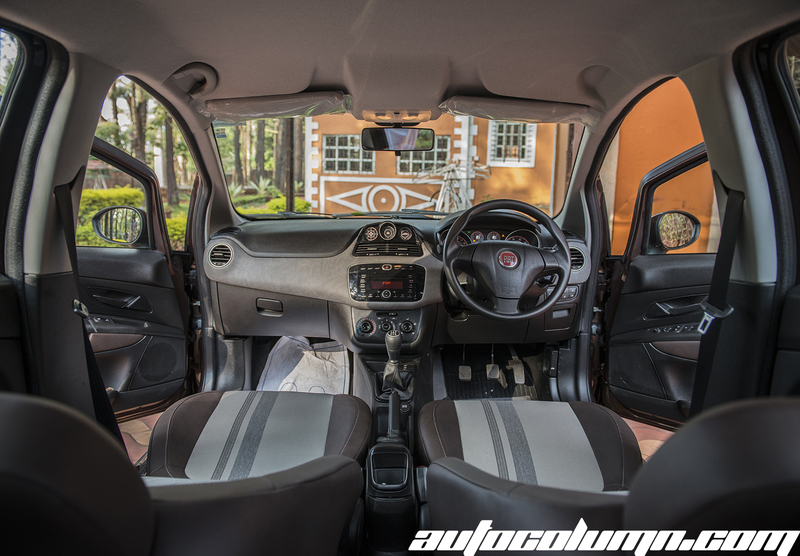 The soft seat cushions are borrowed from the Punto and ample lumbar support makes the Avventura’s seats one of the most comfortable front seats in its segment. 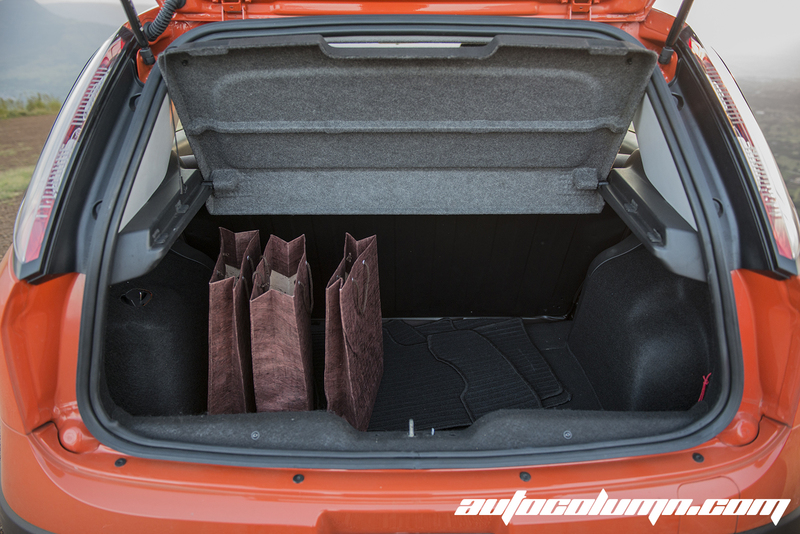 As the car shares same wheelbase with Punto, there is no addition of rear seat legroom, but even a 6 feet tall person is accommodated comfortably. 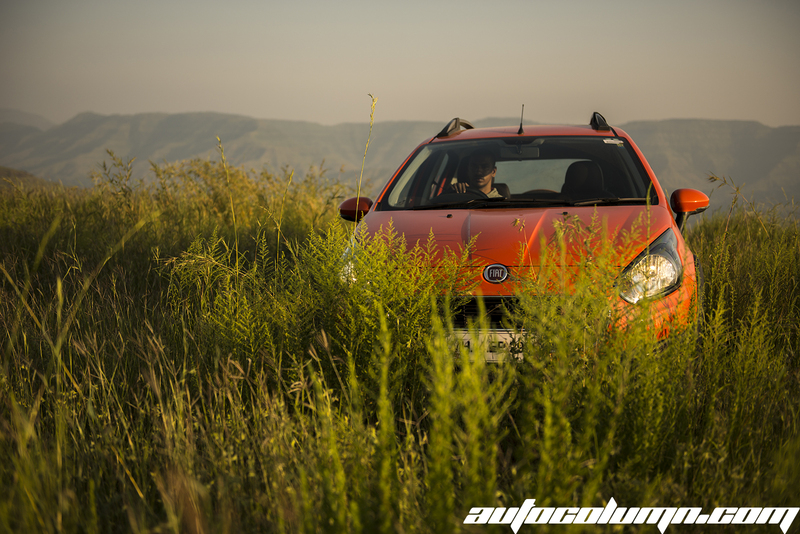 Unlike its competitors, there is plenty of goodness hiding beneath the Avventura’s crossover looks. 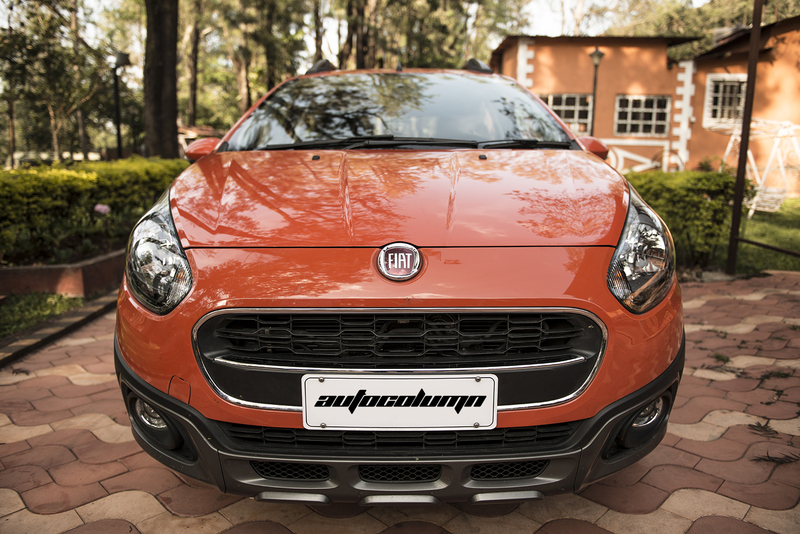 The crossover is more than just exterior badging and some cladding; Fiat engineers have tried their best to develop a serious crossover. 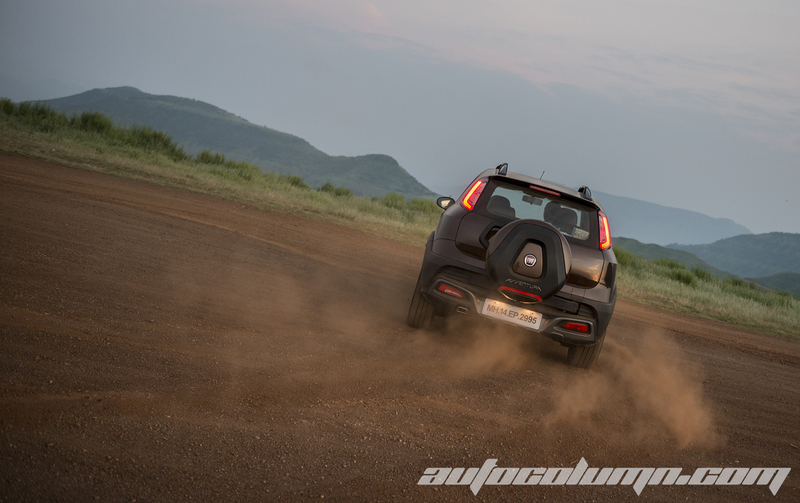 Stiffer suspension setup and 16” alloys have helped it to achieve ground clearance of 205mm, The grip offered by its the 205 section Goodyear tire is phenomenal and car feels properly planted on road compared to the Cross Polo and the Etios Cross. 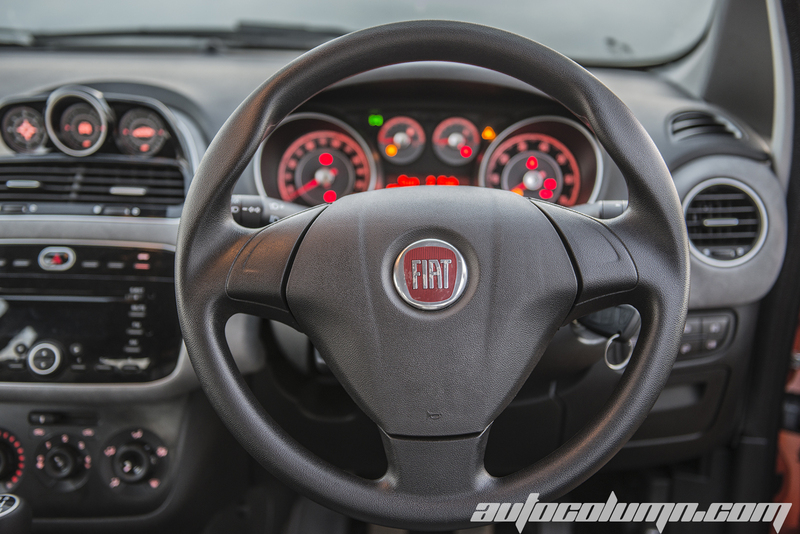 The ride quality is just what you expect from Fiat. Being 60 kg heavier than Punto, it steers much better than the Punto. The stiffer suspension takes all bumps with ease but makes sure they don’t get amplified into the cabin. 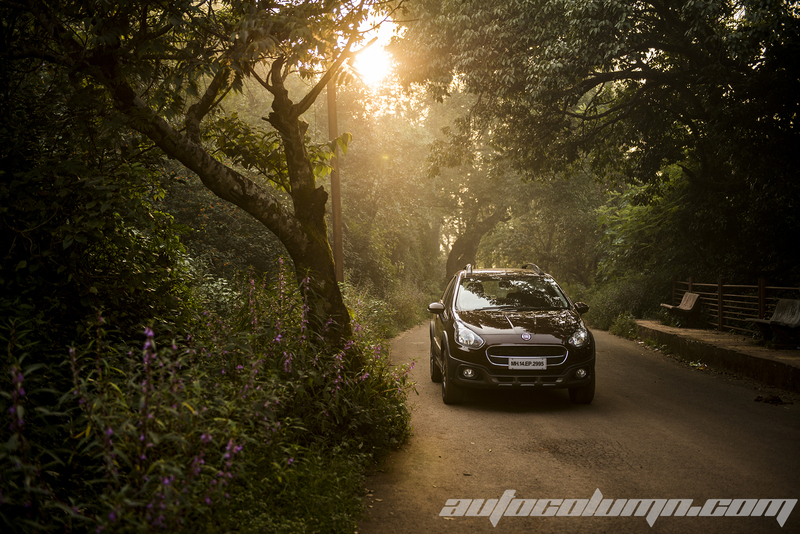 The car performs well on all terrains and ensures the balance of ride comfort and ride handling. 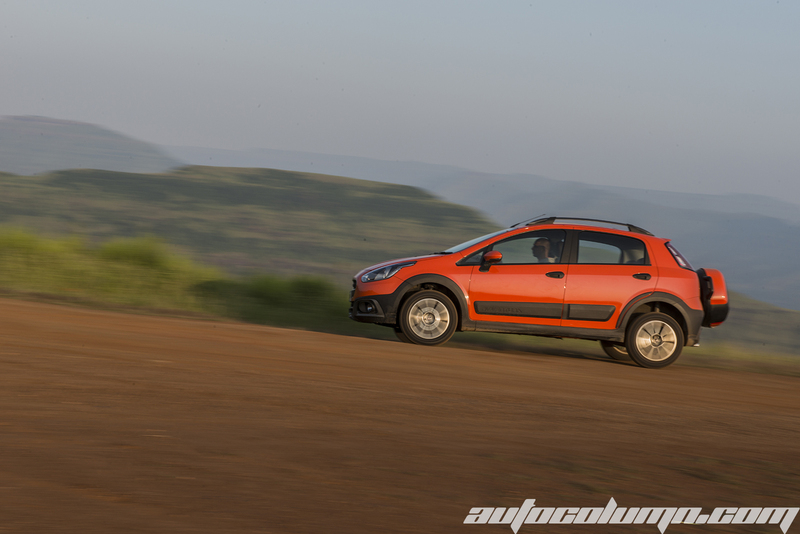 In tight corners, Avventura manages to have a minimal body roll despite its high ground clearance, thanks to anti roll bars at front and rear. The hydraulic steering is another add-on for enthusiast to keep connected to the car while executing tight maneuvers. On the other side, clutch is light, but the clutch pedal travel is a bit longer and dead pedal is too small for your broader shoes. I personally struck my shoes a few times while slouching. Even though the steering is height adjustable, it feels a bit high even at lowermost position. The Avventura has got a better turning radius compared to Punto and fantastic ride quality. 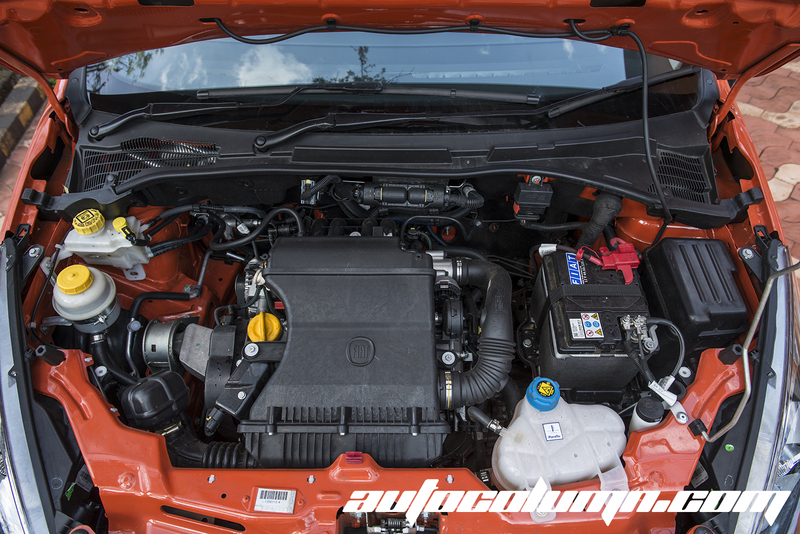 The Avventura is offered with two power plants, the good old 1.3 multi-jet diesel mill which churns out 92 bhp of peak power. The engine has initial lags, but as it gets going, it performs nicely with improved throttle response. 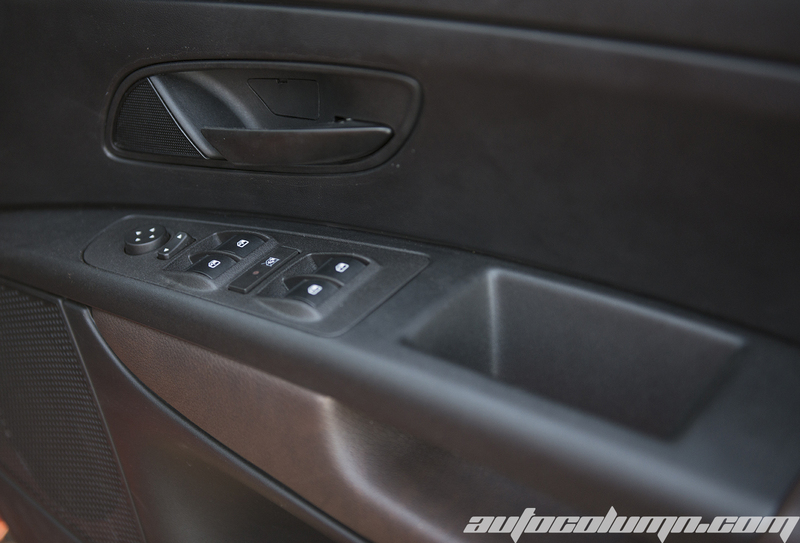 The turbo kick is more linear than a real hard push-back in seats due to torque boost. 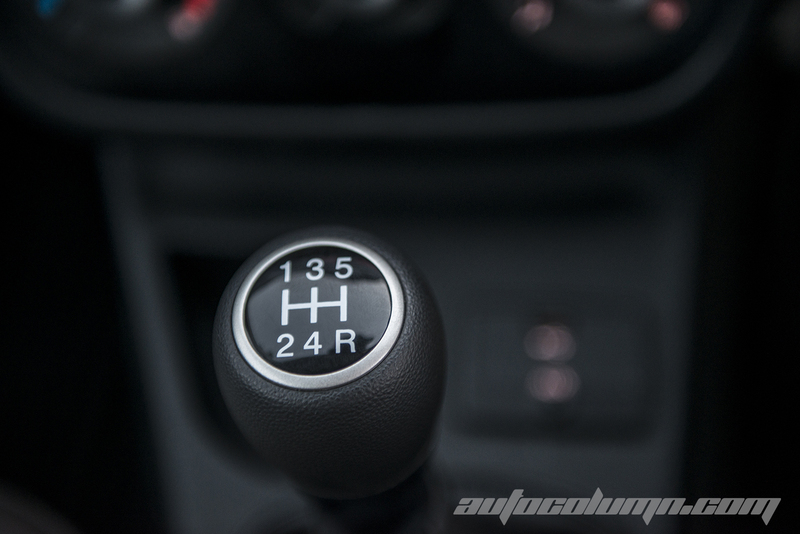 The torque range is widely available and it does feel enjoyable with a bit of rubbery gearbox shifts. The petrol variant comes with 1.4-liter petrol FIRE that churns out 90 HP and 115 Nm of torque. Petrol engines lacks the mid range torque of the diesel. But if you keep the RPM range in the 4000-6000 range, it feels lively. 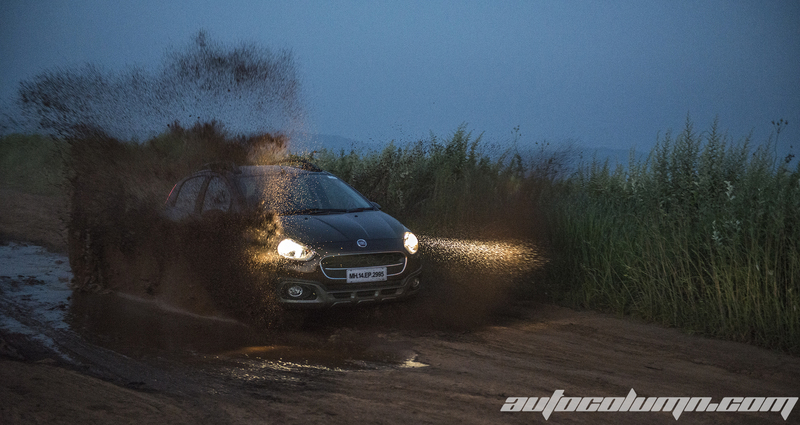 The petrol Avventura sounds refined and accelerates swiftly. 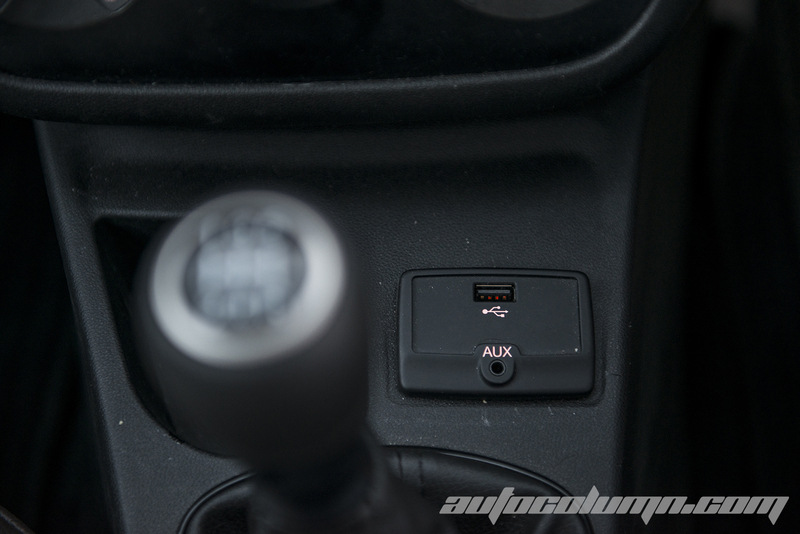 A bigger engine and six speed transmission would have taken Avventura to a different level. Fiat makes great cars, and it is well known as enthusiasts brand. People love Fiat cars, but there are more Fiat lovers than Fiat buyers. Fiat has to work hard to convert these lovers into buyers to make their fortune in the mass market. Fiat has created a fantastic product that sits between a compact SUV and wannabe crossovers. 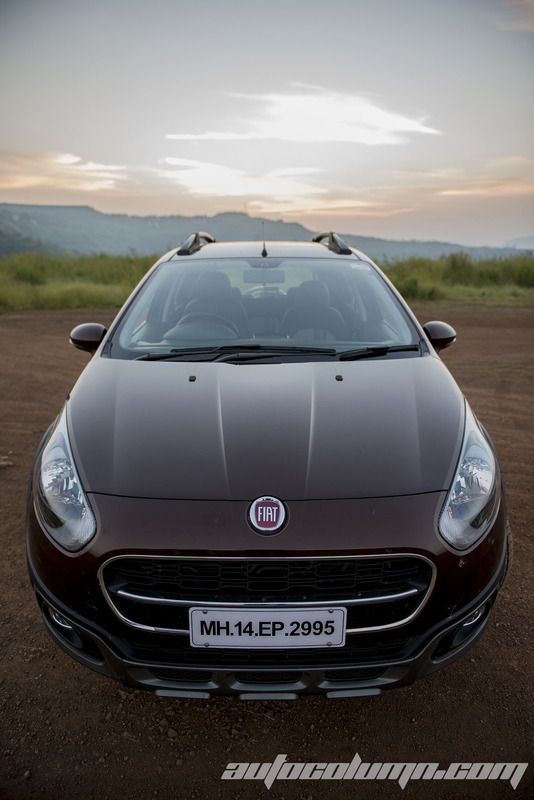 Fiat has already worked on service network and dealerships across India to make brand’s third entry in Indian market successful. 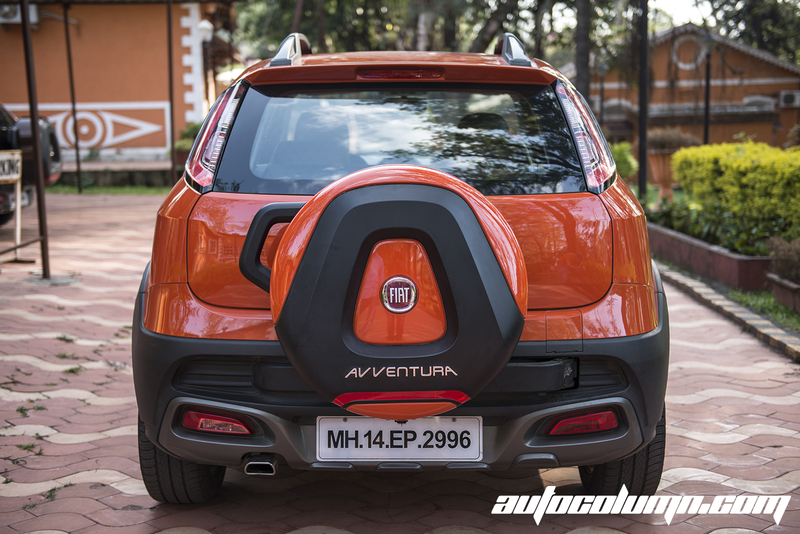 If priced well, the Avventura has a potential to drastically alter Fiat’s fortune in the Indian market. Absolutely brilliant photography. One of the best image galleries I have come across so far. Kudos Arjun Dhavale! !